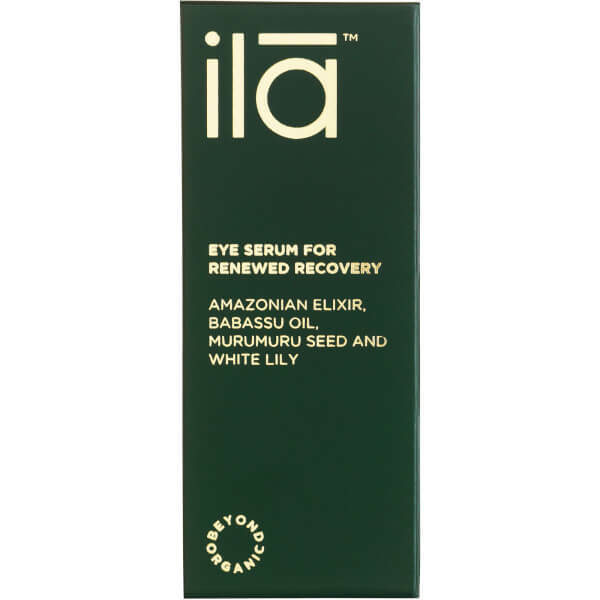 Rejuvenate the delicate eye area with Ila-Spa's Eye Serum for Renewed Recovery; a fast-absorbing formula that utilises a powerful blend of Amazonian extracts to hydrate and protect skin. 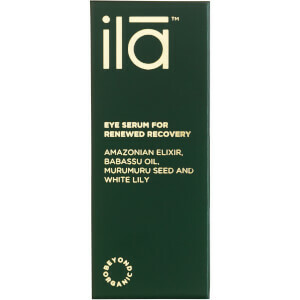 Fortified with White Lily, Babassu Oil and Murumuru Seed, the antioxidant-rich serum works to minimise the appearance of dark circles, redness and puffiness, whilst the brand's unique Amazonian Elixir (a sustainable blend of four bio-active plant extracts) defends against the effects of stress, fatigue and environmental aggressors. Expect a smoother, more refined eye contour with restored luminosity. Apply to the ring finger and pat gently onto the delicate eye area avoiding the lash line after cleansing. 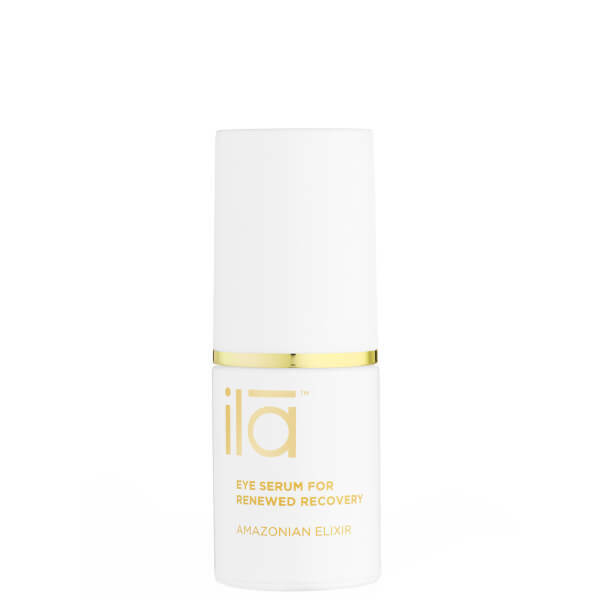 Follow with Face Serum and Day or Night Cream for Renewed Recovery, as part of your daily skincare ritual.